for the good of all counties! What is a Member Association? What is a Youth Commission? Following is a brief description of each of our main publications. Click on the publication’s name for more information or to download in PDF. Two of our publications are advertising supported. CLICK HERE to download our rate card. Common Ground is intended to foster positive communication and understanding between county officials and legislators. Each month, we cover a different issue of common interest, as well as a few facts about a featured county. The County Budget Memo is our yearly analysis of projected State Aid and State Highway Fund distributions for use in county budgeting efforts. As always, these are estimates. Relative changes in valuation, population, motor vehicles, etc. may affect some of the actual distribution amounts. 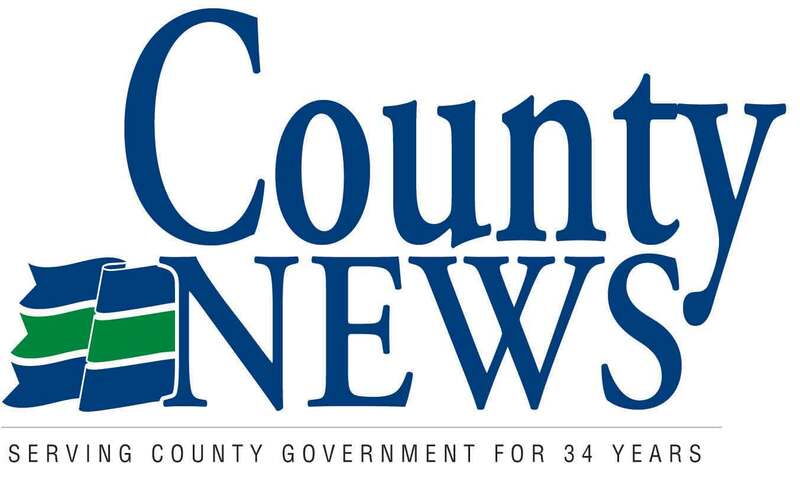 Our bi-monthly newspaper covers timely news on major county issues as well as regular columns on budget matters, technology, professional development, workforce safety, homeland security, retirement and more. County News is advertising supported (see link above) and a great place to get your message in front of the right people if you do business with counties. Click here to order 2019 Edition online. More than a phone book, the directory lists phone, fax, email and mailing addresses for over 700 North Dakota county officials, as well as state agencies, legislators and more, all for the modest cost of $30. Directory data in Microsoft Excel can also be purchased; prices vary, so please call 328-7300. The directory is advertising supported, and a great place to get your message in front of the right people if you do business with counties. The Human Resources guide is a project funded by a grant from The Otto Bremer Foundation in collaboration with NDACo, the ND Insurance Reserve Fund, ND League of Cities, ND Recreation and Parks Association, and the ND School Boards Association. 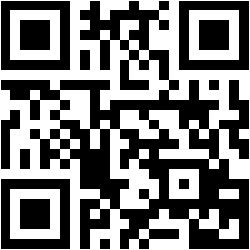 This link will take you to the NDIRF website to download the document. The Leader Letter is directed primarily to commissioners and auditors, and features very brief announcements that may have the potential to be on the county board's agenda. It is sent out on the last week of every month, in anticipation of the board meetings that generally occur in the first week of the following month. For back issues of the Leader Letter, please contact Jeff Eslinger at jeff.eslinger@ndaco.org. County Commissioners and most elected and appointed county officials are required by state statute to meet certain training standards. The required courses are available through either the Institute of Local Government, or through other sources arranged by the Member Associations. 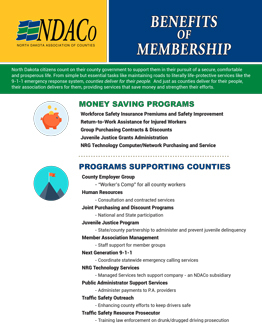 Get a quick overview of the many benefits of membership in the ND Association of Counties. A must-read for officials who are new to North Dakota county government, to learn about the resources available to you through YOUR Association. © Copyright North Dakota Association of Counties. All rights reserved.